I was born in 1989. According to the Pew Research Center, I am dead center in the millennial generation. I do identify with much of what’s been said about the generation. I had computers in 4th grade, and I got my first cell phone in high school. When I entered the workplace, I was unaware of the challenges that arise in an intergenerational workplace. With the stagnation that has occurred in hierarchical arts organizations, many young professionals feel stuck and unhappy and many more established professionals feel the frustration of trying to retain job-hopping millennials. This conflict is so expansive that the William and Flora Hewlett Foundation funded a report to highlight these changing landscapes. They found that the diversity of age in the workplace is higher than it has ever been, leading directly to these challenges. Early in my career, I noticed some serious challenges with communication and I felt stifled in furthering my own career because there weren’t clear opportunities to grow. I found that I value different elements of leadership and that I approach institutional culture differently than leaders trained in the 60s and 70s. Although I’ve learned better how to operate in these settings, I still find it challenging at times, and I know my Gen X and Baby Boomer colleagues, had a similarly difficult time understanding me. What does professional development have to do with millennials in the workplace? The Hewlett Foundation also conducted a focus group of early stage career professionals in California. 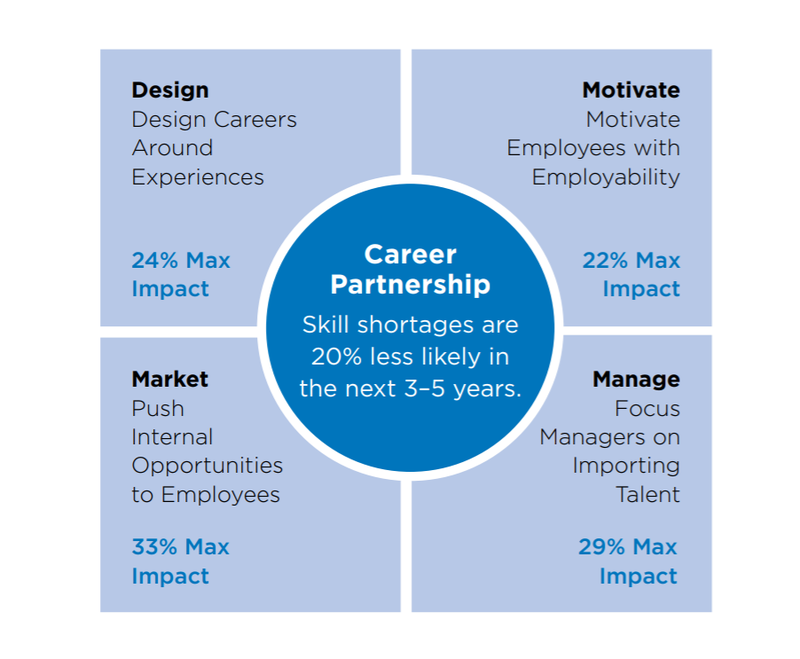 45.5% of the group identified training and professional development as critical to staying at their job. 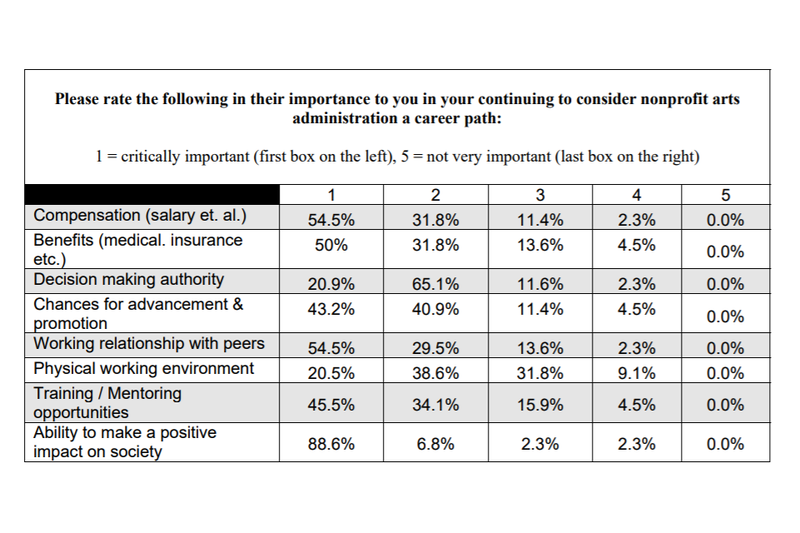 They also found that early career administrators feel, “senior level management is largely unaware of, unsympathetic to, and unimpressed with the reality of generational differences .” A separate study done by Harvard Business Review also found that half of the people interviewed cited lack of professional development as a reason for leaving. All of these facts very much support what I have felt in my career, and that’s not to say that Millennials are a generation without fault. Early career professionals have a lot to learn. The lack of communication, however, is inexcusable. With a few simple steps, professional development programs can open-up the office to dialogue, giving newcomers access to growth and showing staff members that their well-being matters as well. The data also supports this: this report from CEB found that improved career satisfaction can lead to an increase revenue by 2 – 3%. Professional development, much like human resources, is an often-overlooked area in the arts. It is assumed that these are luxuries of bigger firms and for-profit entities. Yet, technology has evened the playing field by allowing organizations of any size to find a simple, low-budget solution to professional development. By improving employees’ growth opportunities, arts organizations can also improve their business capabilities. Websites like Lynda.com, Udemy.com and CodeAcademy.com offer reasonably-priced courses across many topics. Some of the courses are on softer subjects like emotional intelligence and leadership, and others take a more skills-based approach, teaching all facets of coding, data visualization, machine leaning and more. Other brands offer training and basic use of their tools in hopes that users will upgrade when they learn how powerful the tools are. Take for example, learning data visualization skills through Tableau. Tableau offers training on their product at no cost and they offer access to certain tools also at no cost. Although their most powerful software is available for a fee, arts organizations can vastly improve how they talk about their impact and keep all of it in-house. Over the next 3 months, I will try out some of these free-online tools, starting with Tableau. I will report back about the ease of this process and the capabilities of the program, and how that ties into the greater question: Is professional development through online sources worthwhile, and if so, how can it benefit your organization and employees? Hessenius, Brain. “Involving Youth In The Arts Project.” The William and Flora Hewlett Foundation. April 2009. Accessed February 10, 2018. https://www.hewlett.org/wp-content/uploads/2016/08/InvolvingYouthInTheArts_fullreport.pdf. Landles-Cobb, Libbie, Kirk Kramer, and Katie Smith Milway. “Nonprofits Can’t Keep Ignoring Talent Development.” Harvard Business Review. December 17, 2015. https://hbr.org/2015/12/nonprofits-cant-keep-ignoring-talent-development. “McCune Foundation.” Accessed February 12, 2018. http://www.mccune.org/foundation:Website,mccune,grants. Ono, Emiko M. “Moving Arts Leadership Forward.” The William and Flora Hewlett Foundation. March 2016. Accessed February 10, 2018. https://www.hewlett.org/wp-content/uploads/2016/08/Moving%20Arts%20Leadership%20Forward_2016.pdf. “The-New-Path-Forward.” CEB. 2015. Accessed February 11, 2018. https://www.ldc.govt.nz/assets/The-new-path-forward.pdf.